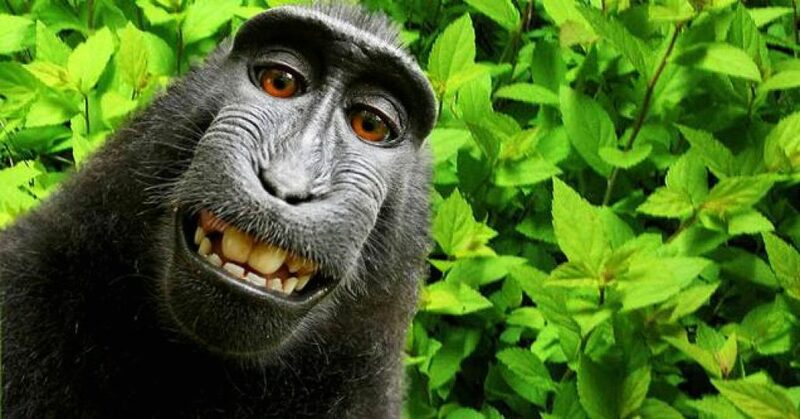 Okay, so we vaguely heard about the copyright conflict over some monkey’s selfies before, but we did not realise the extent to which this ridiculous affair is affecting the life of a man who has brilliantly provided the world with very popular photographs. The Guardian reports that David Slater, the photographer that arranged for manaques to take selfies, has barely covered the costs of creating said photo’s. Why? Well, among others Wikipedia argues that he can’t have the copyright because the monkeys took the pictures themselves. But it gets worse: he’s being sued. By a freaking monkey. Did the monkey file for a lawsuit? Of course not! Monkeys don’t know how to sue anyone. If they did, half the world’s corporations would be in legal trouble for destroying their homes. PETA, the “People for Ethical Treatment of Animals”, sued on behalf of the monkey. This is ridiculous. For one thing: Monkey’s can’t sign a proxy or a power of attorney. How on earth can someone be filing a suit on behalf of an animal who neither has the actual capacity to command the English (or any other) language, nor the mental capacity to understand the meaning of legal representation? If this is allowed, then are we going to see people filing suits on behalf of dogs who feel they get less treats than other dogs based on their race? But it’s even more ridiculous that PETA seeks to stretch the definition of ‘person’, as used in the Copyright Act of 1976 to include monkeys. Think about it. If that is to fly, then american-born monkeys get to vote. Bearing in mind last year’s election result, that is not necessarily a bad thing, but the implications would be huge. 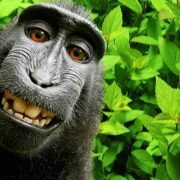 And I think we get to unequivocally state that the law was never written to have monkeys being identified as a person. Especially not in the legal sense of the word. Well, here we go. We’re using the photograph, so we’re paying you a pound, David. 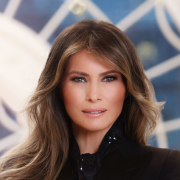 Because, ridiculous legal disputes aside, it seems only fair that the guy who actually put in effort and money to create these pictures, should earn something off it. If you feel as we do, please consider helping David out by donating through his Paypal.